The nice thing about Android smartphones and mobile devices is the sheer amount of apps and games of every conceivable type and kind. Even if we limit ourselves to games, we still get hundreds of thousands of games of every type and kind, from complex strategy games to simple arcade and mind games. And of course, there are the FPS's. First Person Shooters are also a dime a dozen, with all kinds of stories, controls, weapons and enemies. 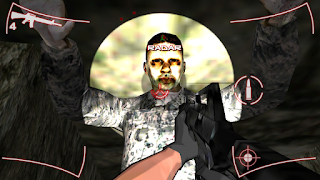 They range from anti terrorist games to science fiction games where the player must shoot aliens or a robot army or evil demons from another dimension. You get the picture. However, we would like to showcase a FPS we think is quite special, and we'll shortly tell you why. 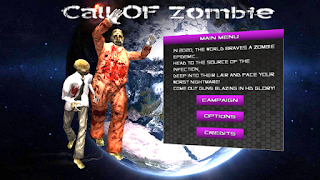 The FPS is called FPS Zombies: Call of Zombie by Forthright Entertainment which have also made two other very interesting games, Defend From the Romans TD and Thundergods Memory Match . Well, the premise of FPS Zombies: Call of Zombie is quite simple and not uncommon among FPS. In the near future, a zombie plague breaks out and we must head out deep into a labyrinth and find and destroy the source of the plague, employing firearms, sensors of various types and fast honed reflexes. Still, this is not the highlight of the game. 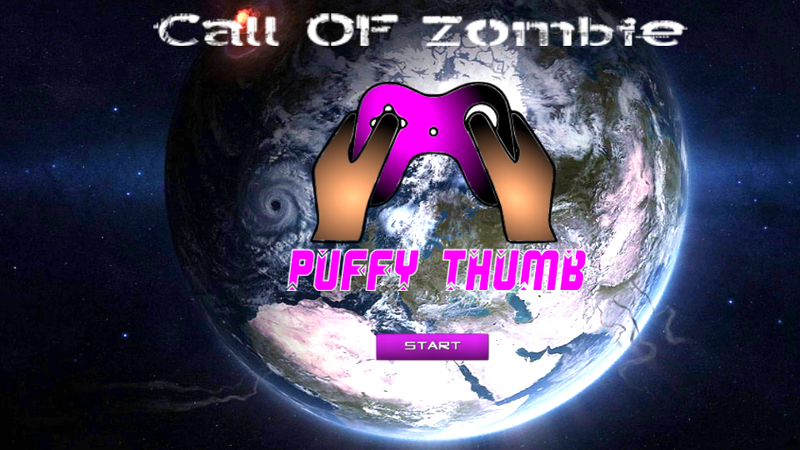 Where the game really shines is the zombies, the plague stricken humans the player must kill in order to win the game. The zombies are BEAUTIFUL! Fully 3D, rendered in loving detail, with different motions and movements for everyone, some having grown to huge size while others devolved into crawling things. The enemy is what makes a good FPS and the enemies in this game are superb! 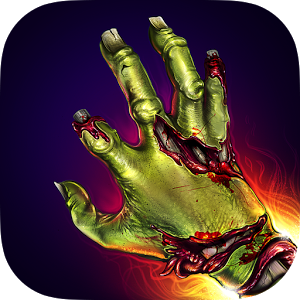 Shooting realistic, clearly rendered and real gory zombies in glorious 3D is what makes all the fun, and FPS Zombies: Call of Zombie has a lot of fun in it!